Report looks and recent and historical data on domain registrations at the registrar. 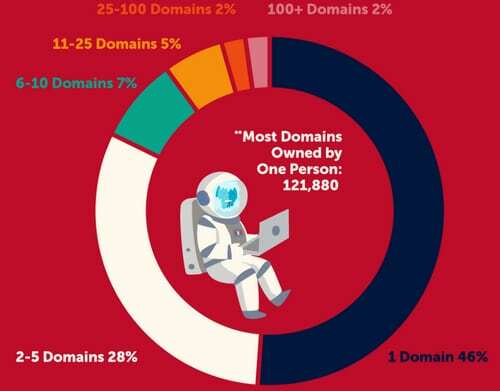 Namecheap released a report today with data about its customers and their choice of top level domain names. The report includes data from the past ten years as well as more recent data incorporating new top level domains. It can be difficult to compare registration data that doesn’t take into consideration the price of domain names; indeed, Namecheap excluded .xyz and Famous Four Media’s domains from some of its calculations. 1. .US was within the top three most-registered country code domains among Namecheaps customers from January 2017-June 2018. That’s not a huge surprise. The surprise is that it’s among the top three for registrants from Asia, Europe, Africa and South America in addition to the United States. It’s the #1 country code domain amongst Namecheap’s Asian customers. Perhaps promotions played a role. 2. Over the past ten years, June has been the most active month for domain registrations at Namecheap. November and October are #2 and #3, respectively. The full report is available to download on Namecheap’s website. If the .us registry enforces its nexus requirements that’ll really hurt namecheap’s business. Personally, I never understood the hype with Namecheap. They’re just an affiliate for go daddy. And, just like go daddy, after your first year, your renewal payment goes up to regular domain name prices. Just something about that seems slimy to me. I’d just rather know what I’m paying every year. A lot of those registrars have moved to that model because trying to rope people in based on price. If you look at the few who do not raise your renewal prices, Network Solutions is still just too expensive. I choose Best Domain Place and recommend it to all my clients. Great realer program too. No surprises. Namecheap is not an affiliate for GoDaddy. They are a competitor.